Unlike its counterpart, a glass of white is typically served chilled or cold. It pairs impeccably well with poultry or fish as the grapes are commonly fermented and combined with citrus or spicy flavors. 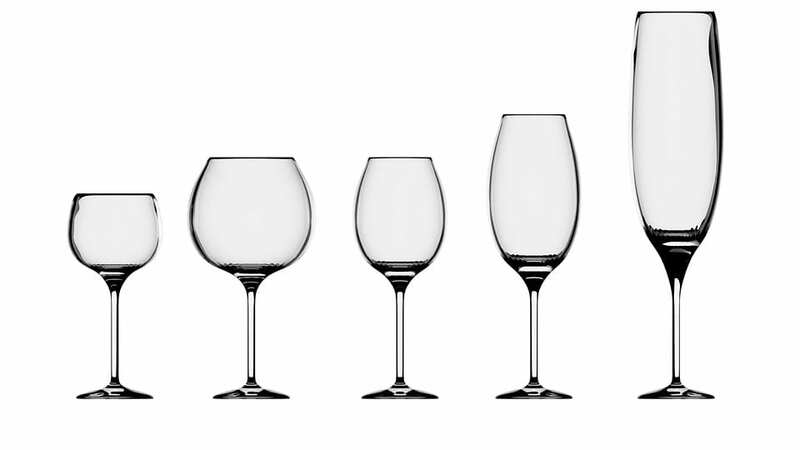 In order to preserve the lower temperatures, while simultaneously freeing the pleasant aromas, the white wine glass will tend toward a U-shape. Red wines acquire a bold and brazen color through fermentation. The dark grape skin is what contributes to the deep hue, and the flavor is often full bodied and robust. As a result, a fine glass of red goes hand in hand with entrees inclusive of red meat or hearty pasta. Serve your reds at room temperature in a glass with a fuller, rounder bowl with a larger opening. In doing so, you’ll allow those unparalleled complex aromas to come in contact with the air. This ensures the wine will breathe and aerate. When it comes to sparkling wine or champagne, you simply cannot skimp on the glass selection. A champagne flute is both narrow and upright, promising long lasting bubbles and luxurious flavor! A Rosé’s blush color is achieved when the grape skin is included for a limited time during fermentation. Ranging from moderately sweet to exceedingly dry, it’s appropriately served in a stemmed glass with a short bowl and slight taper. A white wine glass is also deemed suitable for Rosé. Dessert wines are served with the last course – dessert! Similar to its accompanied dish, its sweet, having been blended with a liquor. This particular wine type should be served in a fortified wine glass, or one that is smaller in an effort to direct wine to the back of the mouth.